Cardona Trucking is a distribution company that offers warehousing, packing and shipping, as a transportation company it makes it easy for you to have a distribution that handles your products from the time we unload it to the delivery of it to your customers. We have warehousing space for our smallest to our largest customers, depending on your needs. We handle all kinds of home furnishing products such as furniture, upholstery and accessories. Our goal is to make sure your products are handled with care, ship your orders in a timely manner and provide you and your customers with an excellent service. 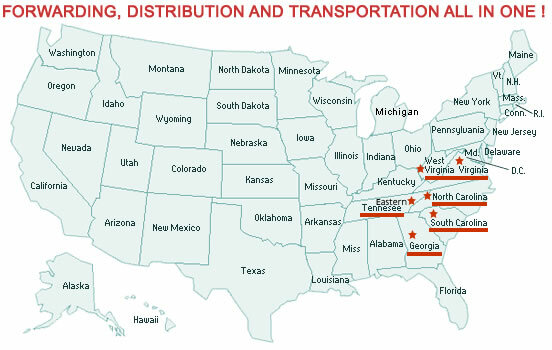 We are located in High Point and Thomasville, North Carolina excellent locations for distribution right in the middle of the US East Coast we have a clean 70,000 sq ft facility with 11 docks insured to protect yours and ours businesses. We can offer you competitive freight rates to North Carolina, South Carolina, Georgia, Virginia, West Virginia and Eastern Tennessee. Cardona Trucking 2012 © All rights reserved.